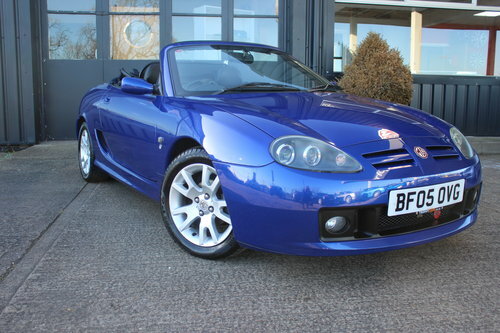 2005 MGTF 135 in blue with matching navy blue hood and rear glass window. 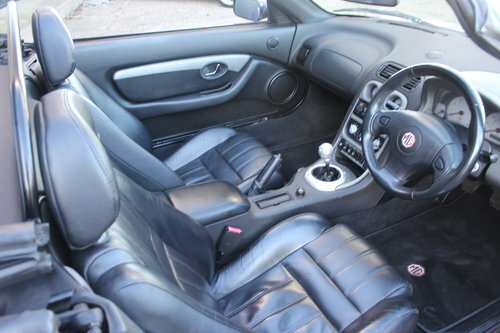 The car has covered 50,478 miles and comes with 5V spoke alloy wheels, full black leather interior, windstop, electric windows and mirrors, front fog lights, previous MOT history and work carried out. 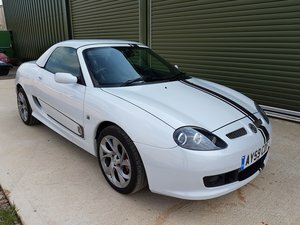 A great little car for the summer months! 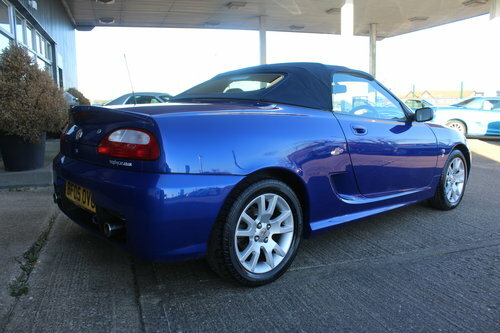 A new MOT will be supplied upon sale with no advisories, we will also replace the headgasket, cambelt and waterpump. 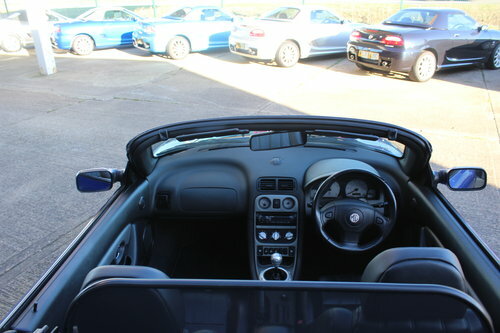 RAC warranty and breakdown is also included. 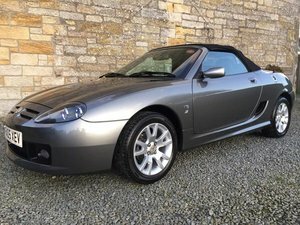 Finished in metallic silver with matching cloth trim.66000 miles with part service history.Very clean body and interior and drives really well. 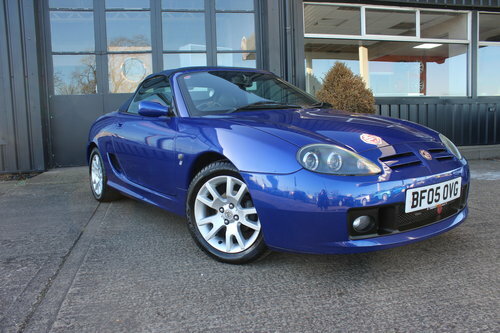 Very clean example finished in Trophy blue with matching trim.Service history.84k,head gasket and water pump replaced 2012.Drives really well. 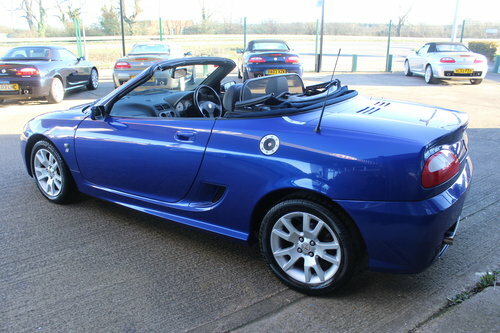 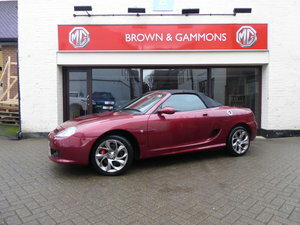 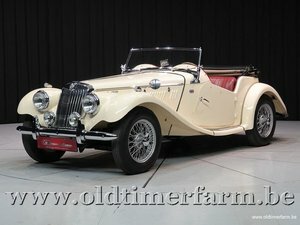 2002 MGTF 135, ALLOYS, NEW HEADGASKET, CAMBELT & WATERPUMP.